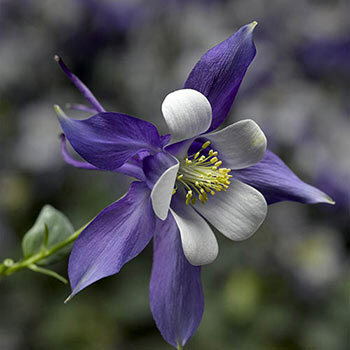 Columbines are an easy way to get blooming interest in spring and colorful fall foliage, but their best feature is how intricate the blooms are. The petals are surrounded by sepals that lay out flat, and then long spurs streaking out behind, full of nectar for hummingbirds. This variety from the Kirigami series shows it off best, it's nearly twice the size of the average columbine's blooms, and it doesn't nod like they normally do. The blue-and-white bicolor is a nice change too-you rarely get to see this bloom color in the garden. 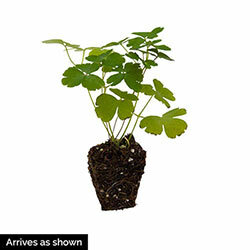 Feature it in shady borders, container gardens, naturalized or in a rock garden.